The success shows ”Ba-Rock,” ”Golden Hits 1228-1767,” ”Robin & Marion – a medieval musical for kids,” “Top of the Pops 1328,” and “Top of the Charts – the X.mas favourites” have amazed and thrilled the Swedish audience. During the ensembles more than 20 years it has given more than 1.500 shows and toured from the very south to the very north of Sweden. 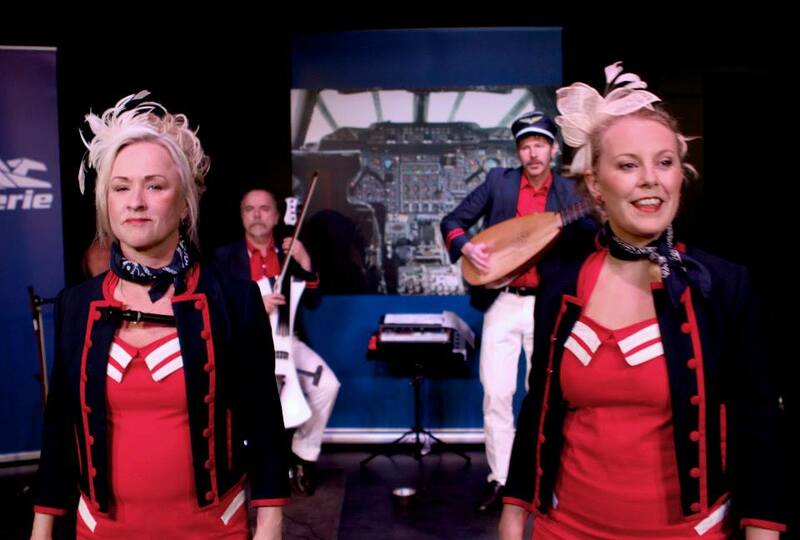 Ensemble Flatterie has also performed in Germany, Great Britain and Denmark. But the ensemble has also been praised by others than the usual audiences. Already back in the early years, in 1986, they were awarded the Great Ensemble Prize of the Musical Academy of Sweden. They have also been acknowledged by a number of other Swedish musical and cultural institutions and organisations. 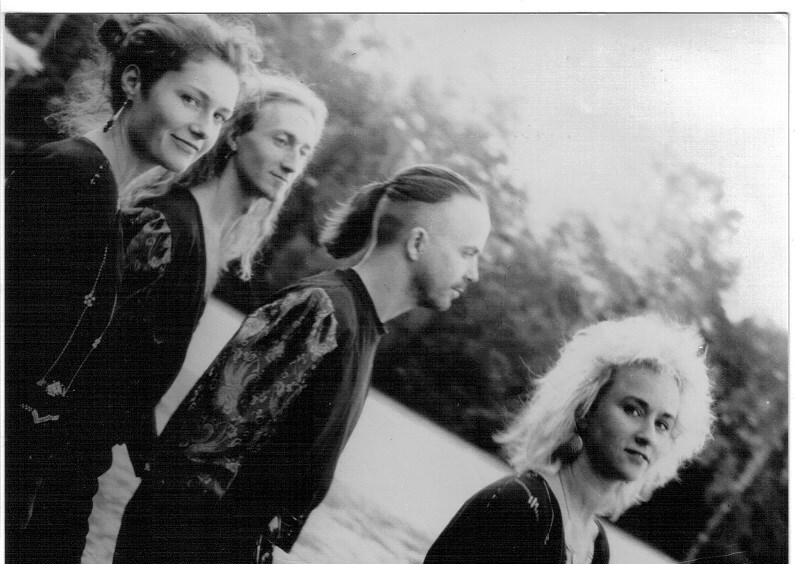 In 1990 Ensemble Flatterie made a ground breaking ”rock video”, based on their interpretation of 18th century music, which has been shown on Swedish national TV at several occasions. They have also performed live at a number of national TV shows on both public service and commercial TV. The ensemble plays both acoustic and amplified, using original baroque instruments as well as slightly more modern instruments, i.e. the early 70´s drum machine Roland R55. 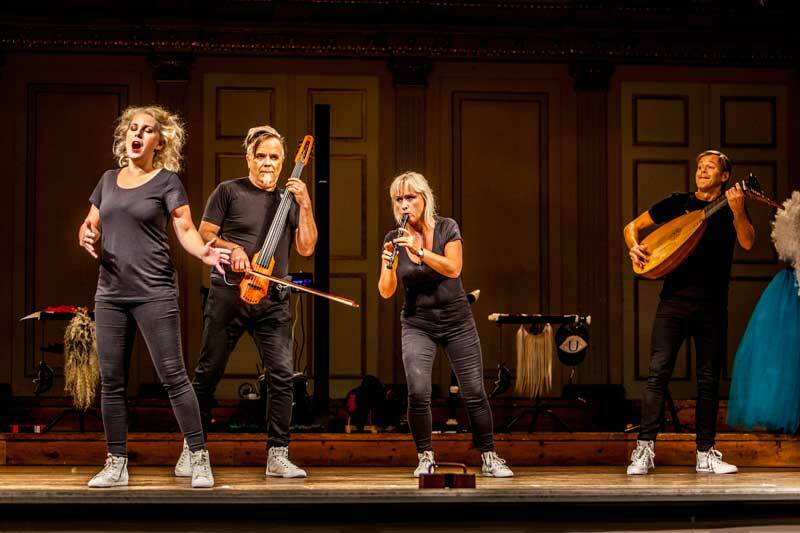 “Golden Hits 1228-1767,” “Ensemble Flatterie plays hysterically old music,” and “220 volts Baroque” are examples of electrically amplified shows they have given at rather unorthodox venues like rock clubs, bars and vernissages. In 1996 Ensemble Flatterie released their first CD album – “Ensemble Flatterie Live, 14 Golden Hits 1228-1767” – thereby celebrating their 10th anniversary. In 2008 the ensemble celebrated 20 years of touring by giving the “Absolute Old Music” show at Swedish castles, crowning the tour with a grand finale at The Malmö Festival. The members of Ensemble Flatterie are: Mette Adolfsson, soprano, Anna-Carin Fogelqvist, recorders, Hans Lundquist, lutes, Pelle Halvarsson, cello. All shows are directed by Helena Collert and produced by Anna-Carin Fogelqvist. All musical arrangements by Hans Lundqvist and Pelle Halvarsson.